The aim of every business owner is to get their goods and services across to their prospective clients thereby increasing their sales and profit margins. Creating awareness for your business and services might seem like a Hercules task, but with the advent of social media especially Facebook, getting in front of your target audience and customers has been made easy by Facebook Advertising. Facebook announced in early 2017 that there are over 15 Million Australian users that are active with their platform. This means that there is a staggering 62.5% of the total Australian population that use Facebook regularly. It is also estimated that users of Facebook consist of 71% of adults on the internet; this has created a vast advertising opportunity for business owners wanting to grow their business and expand their customer base with Facebook advertising. Facebook gives businesses a powerful advertising tool to quickly get their message across to a more specific and targeted audience than any other social media platform in the world. With more than 1.23 billion users, Facebook has now provided more powerful options for advertisers that want to reach a larger targeted audience. There has never been a better way to reach a larger amount of your audience until now! We provide you a range of highly successful Facebook advertising techniques through which we help you to achieve tangible results that boost your revenue and delivers you an amazing return on investment. Our effective Facebook advertising services are proven to accelerate sales growth by 73%. We only use effective and tested methods already working to deliver you ongoing successful results that can be scaled. We teach you and your team to plan, build and execute successful Facebook Ads that help grow your audience, convert more sales and provide profitable sustainability within your business. Most small to medium size businesses do not have the capability of getting their products and services advertised effectively through television stations or paid adverts in the newspaper or radios. The older types of advertising are slowing losing their effectiveness due to the new digital landscape we now live in. We live, play, work and entertain ourselves differently now to how these old types of advertising work. Facebook offers you a wide range of targeting and retargeting options. Facebook enables you to narrow your ads to a defined audience. This includes narrowing the age ranges, geographic distribution and interests of your audience. Facebook also has a power editor tool that allows you to manage your advertising campaigns. The tracking pixel is also included into pages in your website to target your ideal customers along with the products they are majorly interested in. 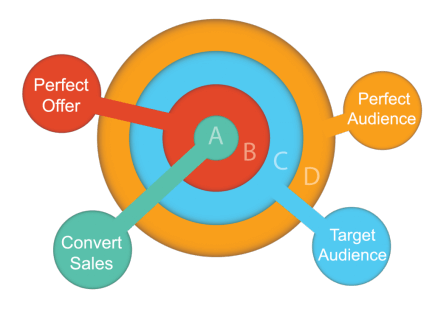 Retargeting is a super powerful way to re-advertise to those people who have not bought yet. Unlike other out dated Ad service providers, Facebook doesn't skimp on analytics and reports for your ad performance. Instead of agonizing to see your social metrics and conversion rates, the Facebook ad clearly lays this out for you. If you are managing a Facebook page, you can get this data by clicking on the insights tabs where you can see your weekly reach, best performing posts and page likes. The Facebook ad also features a tool to allows you to measure up your page and see how you’re doing with the competition. Facebook advertising has a larger audience of mobile users with over half – 56.5% to be exact of Facebook users only accessing Facebook by mobile. A lot of people take some time off their work day by taking a glance at their phones for some social media action, and this gives you access to a lot of mobile audiences. Users of Facebook check their newsfeed a lot and you can maximise this by giving your preferred audience consistent exposure to your advertisement. Their constant awareness will help you gain their trusts and makes them viable for future retargeting opportunities in the future. Facebook advertisement CTR (click through rate) is on a high because Facebook improves their businesses and advertising tools. Learning how to use Facebook tools will do a great deal to promoting your business. Facebook advertising has gone a long way in making a lot of business goals a reality, but after reading through the above reasons, you may be wondering why you should not try another advertising platform. Compared to Google Adwords, where you buy advertising real estate to be displayed in search engine results (SERPs), and then a user searches out your chosen keywords. 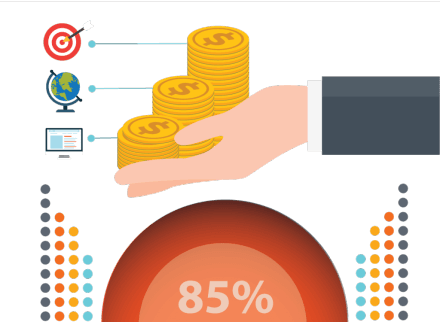 This method solely depends on the urgency of the buyer to want or need your product or services, and the prospective client cannot be reached through this process. This approach is known as the demand fulfilment advertising. With Facebook, you don’t have to get across to your buyers only but also to almost all web users. Another problem with Google Adwords advertising is that users are limited to the number of searchable keywords due to this, the business you have to bid for the same keywords with your competitors and this increases the cost of the advertisement. You basically are at war with your competitors as to who pays the highest to get the better spot. On Google AdWord, you can only market your services at the moment a user needs. It’s also worthy to note that almost always the Cost Per Click will be higher with Google Adwords than Facebook Advertising Townsville. It’s is important to know which platform would be better to use for what urgency the user has for your services or products, and this can save you a lot. HOW WOULD YOU LIKE A FREE FACEBOOK STARTEGY CALL TO SEE IF FACEBOOK ADS IS RIGHT FOR YOUR BUSINESS?